Home / Verbal / Conscious Water. 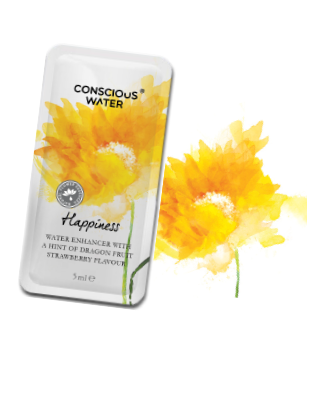 Conscious Water is a 100% natural flower essence water enhancer that, when added to tap or mineral water, makes a refreshing drink that adds a bit of aspiration to your day. It contains only natural flavourings, no artificial colours and no chemicals or artificial preservatives. 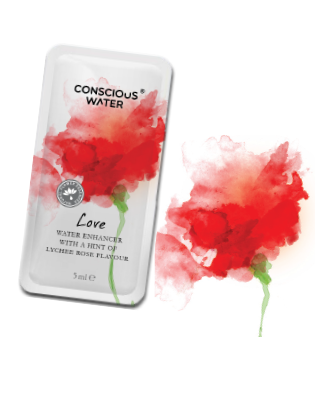 Combining the power of water and the energy of flower essences, Conscious Water Flower Essence Water Enhancers act as a daily affirmation, reminding us to take a moment to ourselves each day to reflect on who we are and what we would like to achieve; to make choices; and to aspire to the greatest we can be. 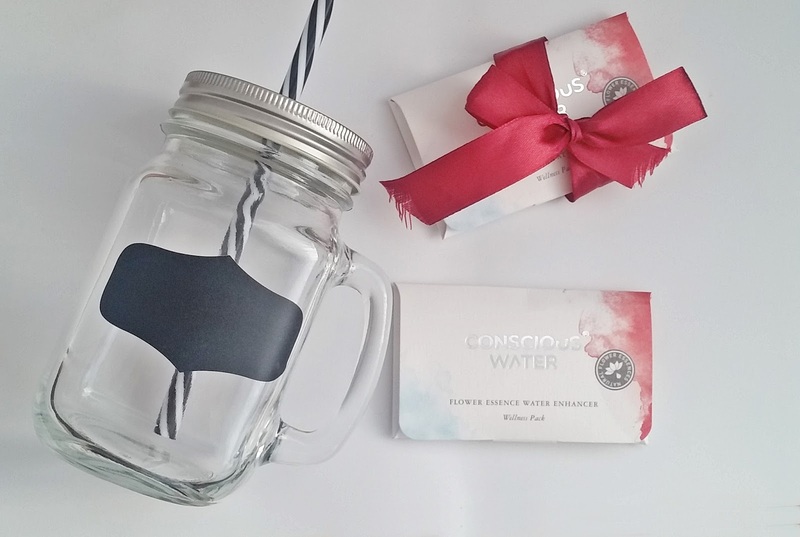 At Conscious Water they want everyone to live consciously. everyone can start by taking just one minute a day to reconnect, to live our true essence; breathe deeply, reflect, shut out the noise around us and think about what we want to achieve today. Flower essences are made by floating flowers in water and allowing the light of the sun to help the water absorb their energy. Flower essences capture the energy imprint of a flower in water. There is no physical part of the flower in the essence, only its gentle but powerful energy. Flower essences can help us release negative thoughts and beliefs, deal with day-to-day stress, focus our attention and even sleep better at night. Flower essences provide us with a natural way to adjust our body’s flow of energy. The belief is that flower essences can stimulate our own ability to heal on all levels of our being simultaneously. They can address imbalances on an emotional, mental, physical and spiritual level. Another unique characteristic of flower essences as a healing modality is the belief that your entire being is involved in the healing process. The flowers acknowledge us as intricate beings comprised of different energy levels, and work on healing our whole self. 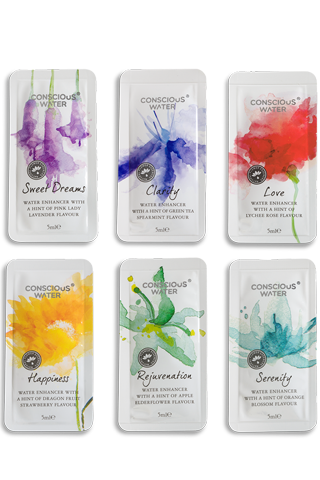 Conscious Water offer a flower essence to suit everyone's needs, which one will you choose? 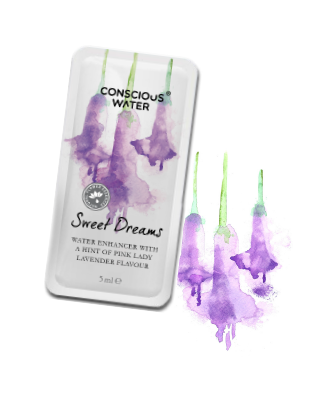 Sweet Dreams - Handcrafted to help you easily drift into a peaceful and replenishing sleep and wake up feeling refreshed and ready to face the day. The flower essences used in Sweet Dreams include Narcissus to dispel worry and overthinking, Grape Hyacinth to promote calm and the ability to relax and Windflower which promotes grounding and a deep sense of inner security. Clarity - Handcrafted to help your sense of focus. 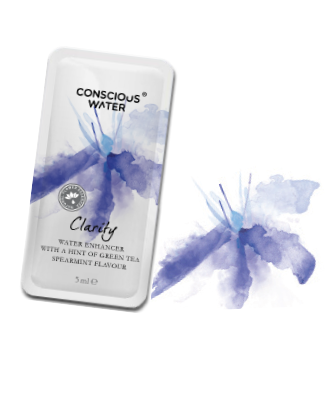 The flower essences used in Clarity include Blue Camas to support optimal use of both the intuitive and rational parts of our brain, Blue Lupin to help us prioritise and focus on what is important and Ox-Eye Daisy to help you see the big picture. Love - Handcrafted to help you feel the presence of love and ignite the spark in your heart. The flower essences used in Love include Snowberry for feeling present in the moment, Easter Lily for nurturing the heart and Lily of the Valley for feelings of simplicity and innocence. Happiness - Handcrafted to help you feel and express the joy of being in the here and now. The flower essences used in Happiness include Nootka Rose for expressing love of life, laughter and joy, Purple Magnolia for enhancing all our senses, and Snowdrop for feelings of delight, enthusiasm and joyful exploration. 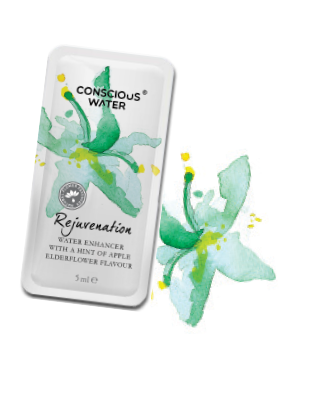 Rejuvenation - Handcrafted to help you feel alive and ready for anything. The flower essences used in Rejuvenate include Fuchsia for a sense of fun and joy, Snowdrop for willpower and determination and Goatsbeard to strengthen your creativity. Serenity - Handcrafted to help you feel at peace and tranquil. 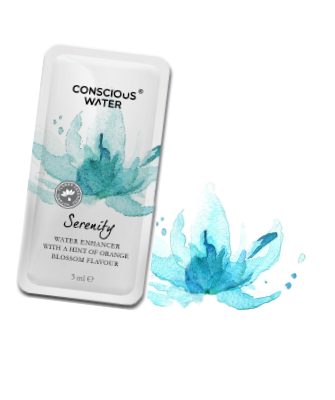 The flower essences used in Serenity include Wallflower for improved sharing and communication, Twin Flower which promotes compassion for yourself and others and Silver Birch for feelings of flexibility and understanding. 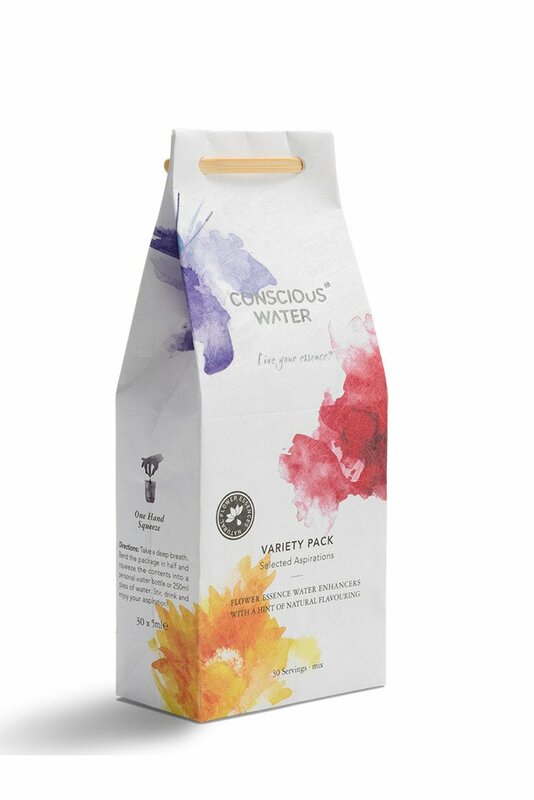 Conscious Water aspirations couldn't be more easier to add to your water. Take a deep breath, bend the package in half and squeeze the contents into your personal water bottle or 250ml glass of water. Stir, drink and enjoy your chosen aspiration at anytime. Adding Conscious Water throughout the day or night to your water, not only has its many benefits but staying hydrated is another. Water promotes cardiovascular health. Dehydration lowers your blood volume, so your heart must work harder to pump the reduced amount of blood and get enough oxygen to your cells, which makes everyday activities like walking up stairs, as well as exercise more difficult. 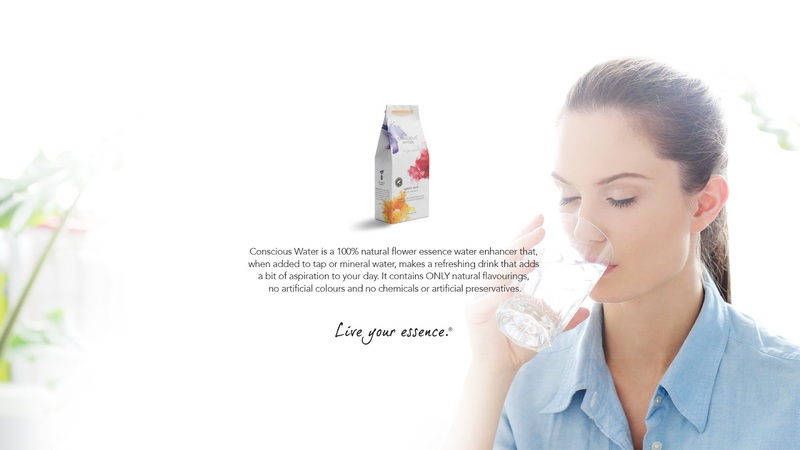 Stay hydrated by drinking the great tasting flower essences from Conscious Water. X Neil.